CNN will explore the use of drones for reporting, after receiving special permission from the U.S. government. In the first program of its kind, the FAA will allow CNN to test camera-equipped drones for news gathering and reporting purposes. CNN has partnered with the Georgia Tech Research Institute to collect data for the program. The FAA said it will analyze that information to develop rules about using drones for news gathering. "Our aim is to get beyond hobby-grade equipment and to establish what options are available and workable to produce high quality video journalism," said David Vigilante, CNN's senior vice president of legal. Vigilante said he hopes that the test program leads to the safe and more widespread use of drones in U.S. airspace. The FAA has restricted drone use in the United States out of fear that they could come in contact with airplanes. Drones could also cause damage or injury by falling out of the sky. There are no drone pilot licenses, and several drones have come close to making contact with planes -- in October, 41 pilots reported seeing a drone, or unmanned aircraft, during flight, according to the FAA. As a result, the FAA has set up a handful of largely uninhabited regions across the country where people can test out drones for commercial use. Currently, the agency only allows certain lightweight drones for commercial flights of up to 400 feet. 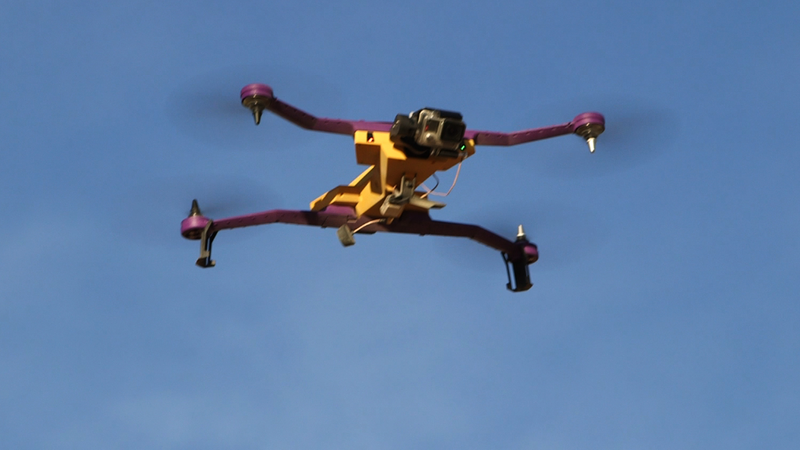 But the FAA is expected to soften some of the rules this year, as drone technology become more commonplace. Drones can be used in search and rescue operations, and they can be flown into dangerous areas to broadcast news to the public. "Unmanned aircraft offer news organizations significant opportunities," said FAA Administrator Michael Huerta. "We hope this agreement with CNN and the work we are doing with other news organizations and associations will help safely integrate unmanned news gathering technology and operating procedures into the National Airspace System." Several other companies are making big investments in drones as well. Facebook (FB) is hiring people for its drone team. Amazon (AMZN) has said it wants to use drones to deliver small packages over short distances. And Google (GOOGL) acquired Titan Aerospace, which makes high-altitude, solar-powered drones.